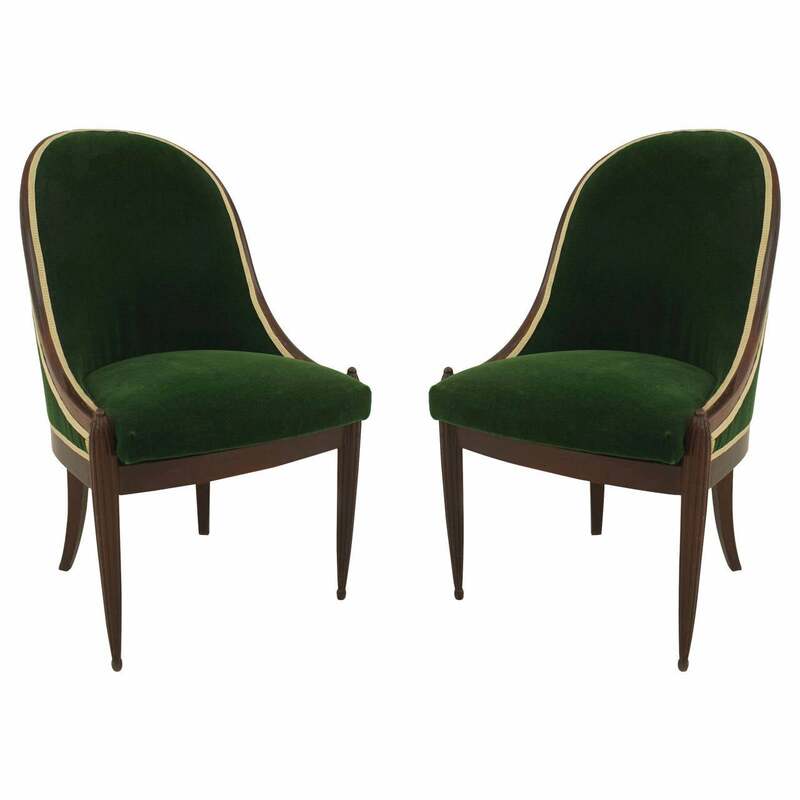 This Pair of French Art Deco Green Velvet-Upholstered Mahogany Side Chairs is no longer available. 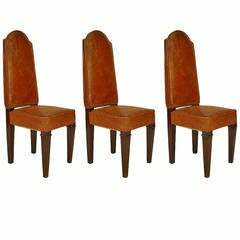 Set of four French Art Deco bleached side chairs with slat back and seat. 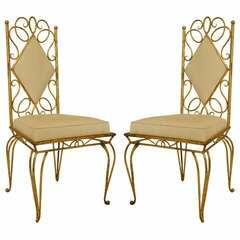 Set of two streamline Art Deco mahogany side chairs featuring unique flowing back. 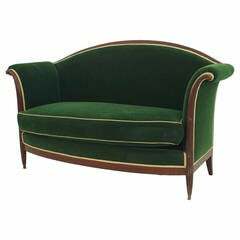 Art Deco period upholstered blue velvet channel-back side chair with carved cabriole front legs. The piece is in great vintage condition with minimal age-related wear to the legs. 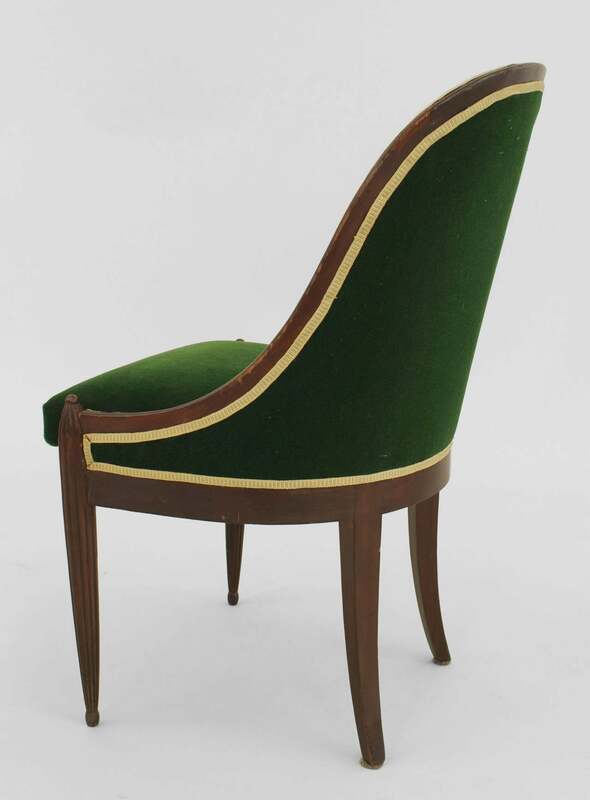 Pair of Jacobean style suede upholstered side chairs with oak barley twist legs and brass nail head trim, circa 20th century. Extraordinary deco side chair with a high finish dark lacquer, appropriately upholstered in a striking yellow and black fabric.